Did you know over 75% of people don’t drink enough water? Only a 2% Decrease in water levels can lead to a 20% dip in concentration! So it is really important to make sure you Keep Hydrated. Why not give your water a tasty Zing by adding fresh citrus fruits. The Root 7 Zingo costs £10 and brings the 21st century to your water bottle by adding flavour to your water without any added nasty sugars or preservatives. 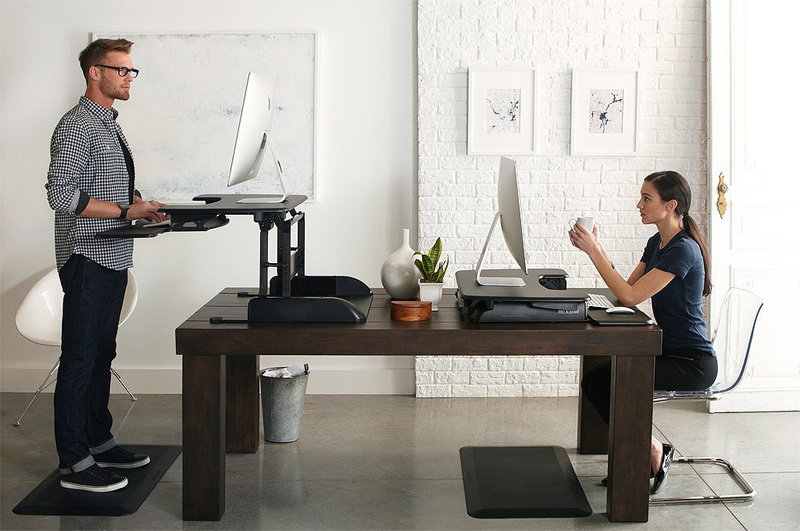 It has been proven that people who use standing desks focus increases by 12%. As avoiding sitting for long periods helps increasing your blood flow and oxygen levels. 73% of people us their personal smart phones for work and using them for work tasks such as emails, phone calls downloading PDF’s. Carry out all these ask can drain your battery very quickly, don’t lose your charge when you need it the most. The Kavson Besiter Eclipse starts from just £9.99 can charge your phone up to 5 times over, so no excuse for missing that all important email from your boss. It is important to stay refuelled in order to provide our brain with the energy it need to stay alert throughout the day. It is also important to make healthy choses as food has a direct impact on our cognitive performance and an unhealthy lunch or snack can derail an entire afternoon.